What are dental diagnostic Photographs? Figure 1: Photographs help a patient understand the need for, and value of treatment: the upper left image shows a cavity that was not obvious to the patient. When the cavity was opened up with dental instrumentation, the underlying decay is obvious (upper right frame). 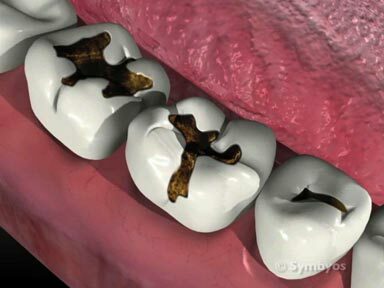 Complete removal of the decay is shown in the lower left frame, and the tooth-colored composite resin filling is shown in the lower right frame. Diagnostic photographs can clearly illustrate the need for, and value of treatment that may not be obvious to a patient (Figure 1). As importantly, they can also rule out the immediate need for treatment, and spare a patient the time, money and potential discomfort of an unnecessary procedure. For example, if a dentist observes flat wear planes confined to the enamel layer of a patient’s teeth the first time he meets a patient, and the patient denies a tooth grinding (bruxing) habit, the dentist may choose to photograph the wear planes and compare the photographs to the teeth at future checkups. If the patient does not have an ongoing habit, the wear would not be expected to increase, and treatment for the suspected bruxing habit may be avoided. In such a case, it may be reasonably concluded that the wear occurred in the past—possibly before the patient’s teeth were moved orthodontically, or during an especially stressful time of their life. 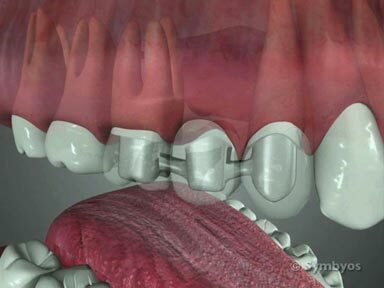 Whenever communication can be facilitated between a patient and their dentist, diagnostic photographs are a good idea. Another question worth considering is, “when should there be a charge for diagnostic photographs, and who should pay?” Although there is no one-size-fits-all answer to the question, if there is a diagnostically valid reason to take photographs, and the photographs become a part of the patient’s record, it may be valid to charge an appropriate fee for them. A typical wand-mounted intraoral camera, featuring fiber optic illumination, disposable barrier wrap, and smooth membrane switched controls, which can withstand frequent exposure to disinfecting solutions. 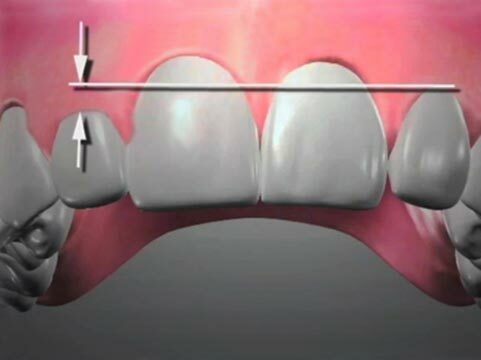 The dentist or dental auxiliary may use retraction devices to gently push aside the lips and cheeks, allowing an unobstructed photograph of the area of interest to be taken. Photographing oral structures requires a good light source, because the teeth and gums are recessed in the mouth. Specialized digital intraoral cameras are frequently used, which have excellent fiber optic or LED light sources, adjustable zoom features, and multiple-image capture capabilities. Usually, the camera and light source are embedded in the tip of a small hand-held wand, which can easily fit into the tiniest of mouths. Any portion of the camera that goes into a patient’s mouth should be covered with a disposable infection control barrier to prevent cross-contamination of patients. The camera controls are typically membrane switches, which can be effectively disinfected with appropriate infection control solutions between patients. When the digital diagnostic photographs of interest are obtained, they can be stored in the patient’s electronic record, and can easily be communicated to a laboratory, the patient, or other health provider involved in the patient’s care. While traditional film photography is still used for high-resolution cosmetics cases, digital cameras have increased in quality to a level where their convenience and other features have made them very popular among dentists.